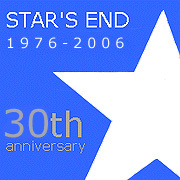 To mark the 30th Anniversary of STAR'S END on WXPN, and as a thank you to the listeners, WXPN presented the STAR'S END 30th Anniversary Spacemusic Festival on Saturday 16 June 2007. This all-day event at The Iron Gate Theater in West Philadelphia featured Robert Rich + Ian Boddy in their first-ever live concert as a duo, as well as performances by Jeff Pearce, The Ministry of Inside Things and Orbital Decay. or by supporting STAR'S END and WXPN with your donation of $60.00; for which you received a WXPN MemberCard, one concert ticket as well as a copy of the new STAR'S END 30th Anniversary CD Anthology. Many Thanks to everyone who came out to this day-long event! WXPN and STAR'S END sincerely appreciate your support. Special thanks to the many volunteers who helped out and to the musicians who turned in exceptional performances! 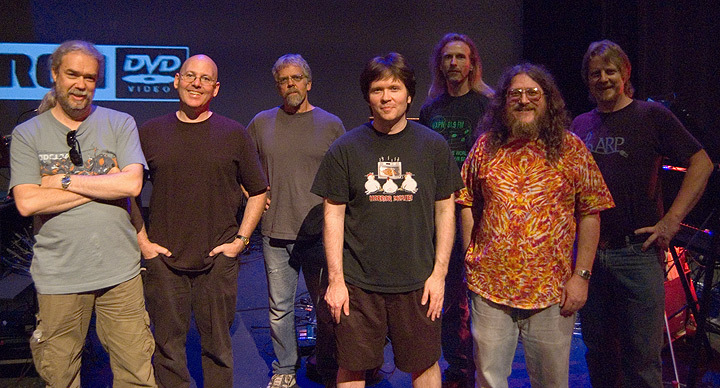 Out of the dozen or so past STAR'S END hosts, nine were in attendance on 16 June 2007 at the STAR'S END 30th Anniversary Celebration Concerts. Between music sets, one by one, all were brought up on stage to share their memories with the audience and reflect on their involvement with the show. Thanks very much for coming out to the concert. Your presence made it a very special event! Robert Rich's music creates a world of primordial mystery and intense beauty. Electronics merge seamlessly with primitive instruments in lush atmospheres. Above it all float melodies played on bamboo flute and steel guitar. With the fabric of this hypnotic journey, Rich weaves a connection between human cultures both past and present, near and far. A California native, Rich began experimenting with electronics at a young age. By the early 1980s he was recording and performing his own sustained sound environments and improvised music. His now legendary all-night "Sleep Concerts" typify Rich's aesthetic focus on psychoacoustics and the fringes of perception. More recently Rich has been collaborating with noted British Electronic Musician Ian Boddy. 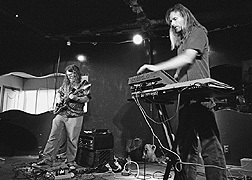 Their two ground-breaking releases, Outpost (DiN) in 2002 and Lithosphere (DiN) in 2005 are centered around Rich's signature lap steel guitar voicings and deep bass machinations of his analogue MOTM modular system while Boddy's presence is felt through his original sound design elements and their intermingling with delicate synthesizer textures. Robert Rich + Ian Boddy made their worldwide concert debut at The STAR'S END 30th Anniversary Spacemusic Festival on Saturday 16 June 2007. Robert Rich also performed a solo set. Emerging from the post Tangerine Dream/Cosmic Music generation, Ian Boddy has carved out a position as a distinctive independent composer and performer. 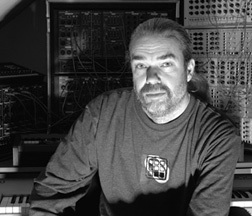 A consistent presence on the European electronic music scene since the late 1970s, this British based sonic explorer established the DiN label in 1999; a venture which allows Boddy to collaborate with a variety of musicians as well as to release material by other innovative artists. Thus far DiN has released 27 CDs (with Boddy involved musically in 16) and achieved widespread critical acclaim for its adventurous outlook at the world of electronic music. Ian Boddy provides the listener with a rich atmosphere of original timbres and floating soundscapes. 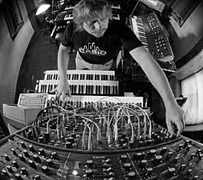 He is one of the few of his generation to have successfully integrated electronic music styles as diverse as seventies-style sequencer structures, melodic neo-classicism and the post-rave Modern Ambient style. 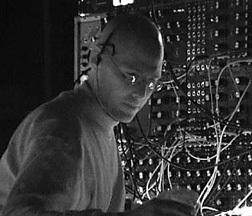 Next to Boddy's impressive solo career stands his collaborative live performance and studio efforts with several of Electronic Music's most innovative and interesting personalities including: Ron Boots, Chris Carter, Andy Pickford, Robert Rich, Markus Reuter and the ongoing project Arc with Mark Shreeve. Based near Indianapolis, Indiana Jeff Pearce is well known to the Spacemusic community for his unique approach to the guitar. Pearce produces tones that rarely betray their origin as they are processed, delayed, distorted and looped to create complex harmonies and timbres. His music is compelling and moody, traversing the Space, Ambient, Experimental and New Age genres. With seven full length CDs and tracks on several prestigious anthologies, Pearce "mines the terrain where Ambient, Space and Minimalism converge..." (WIND AND WIRE). His music ranges from deep, dark soundworlds to bright, elegant, melodic compositions. 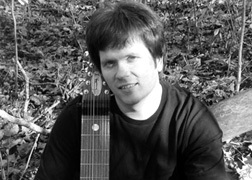 Pearce's recent work includes music created on the "Chapman Stick" using the two-handed tapping technique associated with touch guitar, a radical departure from standard guitar practice. His latest CD is entitled Lingering Light and features music made using this process. 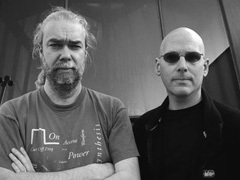 Consisting of synthesist Chuck van Zyl and electric guitarist Art Cohen, The Ministry of Inside Things are considered among the most innovative of US spacemusicians today. Influenced by the early music of Tangerine Dream, Klaus Schulze and Ash Ra Tempel, their work has been described as linear, leading the listener across a diverse sonic terrain. Based on improvisation, The Ministry of Inside Things creates electronic realizations that flow from theme to theme, within the context of a composed suite of music. Through use of textures and atmospheres as well as harmony, rhythm and melody, the group transports the audience on an internal aural excursion. Since 1979, Terry Furber (synths) and Scott Watkins (guitar) have been creating electronic music out of their studio in Quakertown, PA. Known as Orbital Decay, the duo chose their name as homage to Skylab's fiery return to earth. 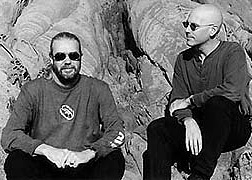 In addition to the space program, Furber and Watkins have been influenced profoundly by Tangerine Dream, Klaus Schulze, Pink Floyd and the multitude of music and artists emerging out of this experimental school. While referencing the spacemusic of the '70s, Orbital Decay charts unexplored territory in both mood and in sound. One reviewer cites Orbital Decay's efforts as, "producing astral music that evokes deep space with atmospheric approaches and a majestic flair". 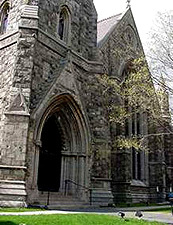 WXPN presented The STAR'S END 30th Anniversary Spacemusic Festival on Saturday 16 June 2007 at The Iron Gate Theater, 3700 Chestnut Street in West Philadelphia, Pennsylvania. The event bagin at 3:00pm and rans until 11:00pm (including dinner break) and featured the world concert debut of Robert Rich + Ian Boddy, plus performances by Jeff Pearce, The Ministry of Inside Things and Orbital Decay. Admission was also available for a $60.00 donation to WXPN and included a copy of the new STAR'S END 30th Anniversary CD Anthology as well as WXPN membership and benefits. Thanks for your support!